Feet are complicated. They contain numerous bones, muscles, tendons, and ligaments that all sustain incredible force loads (even from just walking and standing during an average day). Further, there are numerous injuries and conditions that can develop in feet. Whereas this can all be rather complicated, some solutions for foot pain are simple. Foot pain develops for an array of different reasons. A couple of common ones are sports injuries and plantar fasciitis. Sports and physical activities are a great way to improve—and maintain—your physical health and well-being. Unfortunately, they do come with a certain degree of injury risk. Now, there are measures you can take to lower that risk, but you may need to use first aid to relieve pain when you’ve been hurt playing your favorite sport or working out. Rest – Protect the injured area by taking time to rest and keep bodyweight off it. This will help prevent the injury from worsening, while at the same time allowing your body to begin its natural healing processes. Ice – Apply an ice pack wrapped in a thin towel (to prevent skin damage) to the injured area as soon as possible to relieve pain and reduce inflammation. Keep the ice on the site of the injury for 15 – 20 minutes at a time, and then repeat every couple of hours. Compression – Wrap an elastic wrap tightly—but not tight—around the injured area. If numbness, tingling, or a change in skin tone develops, loosen the wrap a bit. Elevation – Keep your injured limb elevated above heart-level to further reduce swelling and inflammation. Rest. In many cases, heel pain is caused by overuse. Accordingly, taking time away from your normal high-impact activities (running, jumping) or cross-training with low-impact activities (cycling, yoga, swimming) may help. Stretching. When connective tissues like your plantar fascia are overused or endure excessive strain, they can become inflamed and cause pain. Improving lower limb flexibility can help for relieving painful symptoms (and preventing pain from happening in the first place). Footwear choices. Shoes featuring robust arch support and ample cushioning in the heel area are beneficial in preventing plantar fasciitis. More than that, though, they may be instrumental in improving an existing case. Orthotic devices. If proper footwear does not offer enough support, you might benefit from orthotic devices. We craft these to work specifically with your unique foot structure (and gait pattern). Correcting abnormal biomechanical patterns can help relieve excessive strain on your plantar fascia. 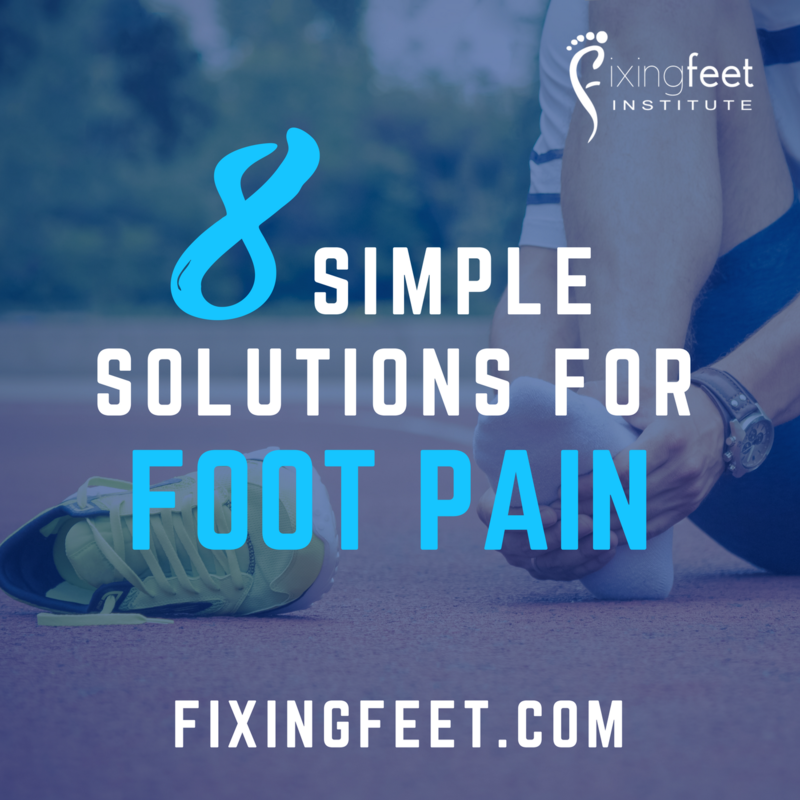 As noted earlier, the simplest solution for your foot and ankle pain is to come see our team here at Fixing Feet Institute. Give us a call at (623) 584-5556 and one of our friendly staff members can help schedule your appointment with our Surprise, AZ office.